Before time began, before spirits and life existed in the Pokémon world... the hand of a man by the name of Satoshi Tajiri descended upon the chaos that was the Gameboy cartridge. Through Pokémon Red and Green, he cultivated, with his strength, the first land to exist in the Pokémon world, and created the Kanto region. Pouring his wisdom onto the earth, he gave the spirit of law to the world. And with his rich soul, he produced the very life forms to which the world he had created was dedicated: Pokémon. Starting from the point of the primordial land of the Kanto region, Satoshi's creations gradually expanded in size, wonder and splendor - from the very lands and Pokémon created by Satoshi himself ever since the first generation of Pokémon, to GSBot and other fan-made online Pokémon battling simulators that came after it as well as the communities surrounding them. But soon, The Legend of The Great Pokémon Master spread through the Pokémon world. The Great Pokémon Master's unmatched success inspired the multitide. Some chose to rever him as a deity among Pokémon trainers, while others responded to the light of his glory with jealousy. Many attributed the Great Pokémon Master's incredible Pokémon battling success to the unparalleled quality of the Pokémon teams that he built and utilized in battle. Very soon, the Great Pokémon Master's teams each became revered as a sacred relic among the people of the Pokémon world. Being willing to stop at nothing to take the ladder's #1 positions on simulators which were often occupied by the Great Pokémon Master, many people extensively studied the logs and replays of his Pokémon battles, in order to replicate his teams... and seek glory through plagiarizing his hard work. Such history has repeated itself in almost every Pokémon metagame the Great Pokémon Master has ever graced. In their pursuit of the Great Pokémon Master's magnificence, many Pokémon trainers, driven by selfishness and lust for power and success, underwent severe degeneration in their moral character and integrity. The Great Pokémon Master has already intervened once in order to stop the plot of such greedy and ruthless people. He has now come to intervene a second time. Welcome to my seventh Rate My Team, dedicated to The▲Absolute▲Power▲, a team for the Anything Goes metagame. Though I am someone who typically cares very little about the decisions Smogon makes in tiering, as well as the conclusions they draw in their evaluation of Pokémon metagames, I will admit that the news of the Anything Goes metagame being created has filled my heart with rainbows. Though I am a trainer to have graced a myriad of different Pokémon metagames throughout the generations, all it would take is a small glance at history to determine that I have always had a special attachment to Übers, regardless of the generation. However, I have only very recently come to the realization that such an attachment of mine to Übers was contingent on the fact that that metagame has traditionally been the closest there has ever been to one in which there are absolutely no rules whatsoever, and this conclusion to me is only reaffirmed by the very strong negative reaction I had towards Smogon's decision to retain the OHKO, Moody and Sleep Clauses, implement the Swagger Clause, and attempt to ban Gengarite and Shadow Tag in Übers. 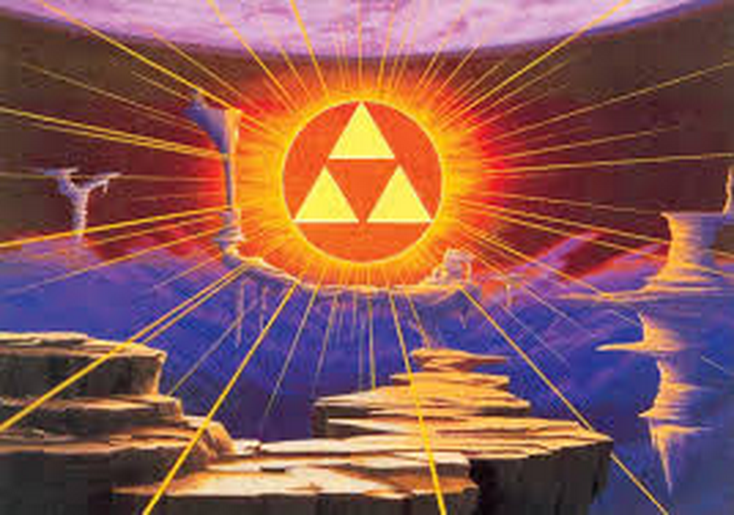 All is well now though, as the creation of Anything Goes has given me the perfect metagame, in which I can finally participate in the art of Pokémon battling in by far its most natural and pure form, free of politics-born rules - a metagame in which the only limit is the sky itself. As a testament to the immense success of the team to which this thread is dedicated, when I laddered with it under the name "LLW", I reached #1 with 1897 points, achieving a tremendous win-loss record of 63-1. The only loss The▲Absolute▲Power▲ has known when I laddered under that name was to the very person who was #1 on the ladder by an incredibly large margin for a very long period of time before me. In truth, the beginning of The▲Absolute▲Power▲'s team building process actually long predates the creation of the Anything Goes metagame. It all started sometime in early 2013, prior to Pokémon X and Y's release, when I participated in the 无规则 ladder on a Chinese Pokémon Online server known as 口袋吧官方服务器2.0. At first, I believed that ladder to be an Übers ladder, and as such I laddered there using three BW2 Ubers teams. However, I soon encountered people using the Moody Ability and abusing that ladder's lack of Sleep Clause and Species Clause. As I have always disliked rules and clauses in the Übers metagame, this made me very excited, and thus I quickly stopped using my BW2 Ubers teams on the 无规则 ladder, and hastily threw together a team of six Extreme Killer Arceus, the best Pokémon in Generation V, each of which possessing different coverage moves, one of which utilizing Stealth Rock, and most of them carrying Lum Berry to deal with Darkrai. I soon realized that three things gave the team trouble: The first was teams with a Rapid Spinner and five or so Pokémon with Focus Sash, the second was Choice Scarf Terrakion, and the third was Lugia. In response to that, I removed two Arceus-Normal for a Calm Mind Arceus-Ghost as well as an Arceus-Dragon with Calm Mind, Judgment, Rest and Sleep Talk - chosen over a Recover + Refresh set to deal with Lugia, since a set with Rest and Sleep Talk can also handle Darkrai, which is extremely dangerous in the 无规则 metagame due to the lack of Sleep Clause. It was then which was when I underwent a quite humiliating experience. I encountered the Leader of the famous SE clan, lxz, on the 无规则 ladder. After summoning an infinite Sandstorm with his Tyranitar, lxz managed to set up a Swords Dance against my sleeping Arceus-Dragon with his Sand Rush Excadrill, before proceeding to completely sweep my team. After that experience, I knew that I needed a way to prevent my team from being completely swept by Swords Dance Excadrill in the sand or Swords Dance Kabutops in the rain. The obvious answer to me was Groudon, due to its incredible stats and access to Stealth Rock. 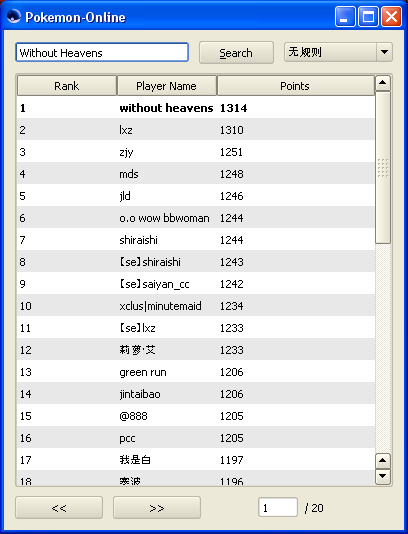 After that, my team did not seem to have any problems, as I easily reached #1 on the 无规则 ladder with it, but completely stopped using the team, and playing 无规则 for that matter, as the 口袋吧官方服务器2.0 server was not very active anyway. I decided to keep the team though, as I thought it would be useful for getting voting requirements for the anticipated Übers Species Clause suspect test on Smogon later on in that year, though that suspect test never ended up happening. Fast forward more than a year, to the time of the Anything Goes metagame's creation on Pokémon Showdown!. I had been using a different, stallish team when I first got into this metagame, but quickly scrapped the idea when I saw how much that team struggled with Moody Pokémon and Substitute Darkrai. So I went back to my old 无规则 team, and made some changes to it in order to adapt to all the metagame changes that have taken place with the advent of XY and ORAS. The first changes I decided to make were replacing Arceus-Dragon with Arceus-Fairy, Arceus-Ghost with another Lum Berry Arceus, and Groudon with a Focus Sash lead Scolipede set I took from a hyper-offensive XY Ubers team given to me by a person known as Arsenal. I felt that Arceus-Fairy was much more suitable for a Calm Mind/Judgment/Rest/Sleep Talk Pokémon than Arceus-Dragon in Generation VI, due to the latter being completely and utterly walled by Fairy-type Pokémon, as well as the former's ability to deal with physically-defensive Foul Play Yveltal, which completely destroys the rest of my team, especially if it also knows Taunt and Sucker Punch like it usually does. Arceus-Ghost was replaced with a Lum Berry Arceus as blocking Rapid Spin has now become pointless thanks to Defog being the primary method of removing entry hazards in Generation VI, while Choice Scarf Terrakion has become almost non-existent and gets walled by Arceus-Fairy anyway. And from my previous experience playing Anything Goes, I had personally decided that the existence of Moody Pokémon in this metagame pretty much necessitates the use of Toxic Spikes, hence why I chose to include Scolipede in the team, since I saw no better Toxic Spikes user for a hyper-offensive team than it. Needless to say, with Groudon removed, I put Stealth Rock back on one of my Arceus-Normal. After laddering a bit with this team, I discovered a problem with it: Because this team only had four Extreme Killer Arceus, it lost to teams with six Extreme Killer Arceus, especially considering the fact that Scolipede is completely deadweight against a team of six Extreme Killer Arceus, especially if they hold Lum Berry, which they almost always will considering the prevalence of Darkrai and SwagKey in the Anything Goes metagame. As I found teams of six Extreme Killer Arceus to be common on the Anything Goes ladder, and almost always lost to them, I decided to replace one of the Arceus-Normal in my team with the pinnacle of defense itself in the Pokémon world - a Pokémon that counters not only Extreme Killer Arceus, but also countless other huge offensive threats in the Anything Goes metagame, including Primal Groudon, Mega Rayquaza and Calm Mind Arceus. That Pokémon was, of course, Lugia, and I opted for the infamously deadly Roost/Substitute/Toxic/Whirlwind set, due to its sheer Toxic-stalling abilities. As much as I personally fancy my signature double status Lugia, The Great Pokémon Master's Supreme Ultimate Shield, I felt that it did not synergize well with the Toxic Spikes-centric nature of this team. To help against opposing Extreme Killer Arceus (and also not having a chance of being setup bait for it when Arceus-Fairy is asleep), I also changed my Arceus-Fairy to a standard Defog/Judgment/Recover/Will-O-Wisp set, which also helped the team a bit against opposing entry hazard stackers, especially Skarmory, which could only be threatened by one Pokémon in my team: the Extreme Killer Arceus that knew Overheat. Upon using the team more, I found that it had trouble against Calm Mind Arceus-Ghost. Having battled against Moody Glalie with Frost Breath, Protect, Substitute and Taunt many times, and in fact, having even battled against a team of six of such Pokémon (with that very experience being responsible for teaching me the necessity of Toxic Spikes in the Anything Goes metagame), I knew of how devastating it was, and my first solution to my team's current problem was to set up on and try to beat opposing Calm Mind Arceus-Ghost with Moody Glalie with the help of luck, while using Moody Glalie as a general sweeper to help this team achieve victory in most battles. Later, I found that support Arceus Formes with Will-O-Wisp, especially physically-defensive variants, were a huge pain for my team. As Glalie could not reliably set up on them due to the ease with which it can be crippled by Will-O-Wisp if it does not get a Speed boost with Moody soon enough, I decided to abuse the lack of Sleep Clause in Anything Goes by adding Darkrai to the team, while also giving it a secret weapon in Hidden Power [Steel] in order to catch any Mega Diancie switching in off-guard. Around this time, I also customized the movesets of my two Arceus-Normal to deal with certain specific threats more effectively. However, I soon learned that it would simply be an understatement to claim that the Anything Goes metagame is one that is heavily overprepared for Darkrai, with SwagKey, Choice Scarf Xerneas with Sleep Talk, and Lum Berry Extreme Killer Arceus everywhere to ruin Darkrai's night. Seeing as Darkrai also cannot really switch in on any support Arceus Formes, cannot outrun what I at the time discovered to be a huge threat to this team in Mega Gengar, as well as the fact that I felt my team desperately needed a Will-O-Wisp immunity, I decided to replace Darkrai as this team's countermeasure to support Arceus with what has traditionally been by far my favorite general support Arceus counter: The Rising Phoenix, Ho-Oh. Opting for its Choice Band set, I chose it over the other Will-O-Wisp-immune Pokémon I had in mind at the time, Primal Groudon, due to the Rainbow Pokémon's Regenerator Ability combined with its far superior Special Defense stat, which allows it to take Judgments as well as the Shadow Balls of Mega Gengar far more effectively, while at the same time being able to easily tank Darkrai's Dark Pulses and retaliate in its sleep with Sleep Talk. With Ho-Oh added to The▲Absolute▲Power▲, the team's overall Stealth Rock weakness was now incredibly huge, with one Pokémon having a 4x weakness to it (and the inability to heal with Roost, due to it wielding a Choice Band), two Pokémon with a 2x weakness to it, and the other three being neutral to it. This itself would not be so bad if not for the fact that using Defog is quite costly for this team, as it often means removing the extremely valuable Toxic Spikes set up by Scolipede. Combining this with the fact that I found that a well-played Substitute Leftovers Darkrai, especially with Stealth Rock down, can be incredibly dangerous against this team, with its ability to stall out Ho-Oh's sleep turns with Substitute before leaving it awakened and locked into Sleep Talk, its ability to come into and set up on Lugia, as well as the fact that The▲Absolute▲Power▲ now has only two Lum Berry Arceus to deal with it, as well as the fact that Stalltwo and Taunt Mega Mewtwo X can be deadly against this team, my final decision in building this team was to replace Ho-Oh with a Choice Scarf Kyogre, which can not only deal with all of the aforementioned threats in addition to Mega Gengar easily, but also gamble and attempt to turn losing battles around by trying to get lucky with Sheer Cold if need be. After all, especially in an extremely big and diverse metagame such as Anything Goes, there is no such thing as anything even remotely close to a perfect team - every single team will have a bad matchup against certain other teams, and tweaking a team in order to make its bad matchups more manageable inevitably leads to the team becoming weaker against teams that it would otherwise fare well against. In such an incredibly team matchups-based metagame as Anything Goes, I believe that having a 30% chance of turning a losing battle around by instantly eliminating the very key Pokémon that gives one's own team an incredibly hard time is nothing short of a godsend. Scolipede is the very Pokémon which provides The▲Absolute▲Power▲ with Toxic Spikes support. Once this poisonous entry hazard has been set on the opponent's field, an instant time limit is set to the lives of any Moody Pokémon the opponent may have, making them far, far easier to deal with than normal, which is great as Moody Pokémon, especially Glalie, are some of the biggest threats in the Anything Goes metagame. At the same time, Toxic Spikes also instantly poison many huge threats in the tier such as Primal Kyogre and Primal Groudon as they enter the field, often saving this team's Lugia from having to manually poison them with Toxic, something Lugia may not want to spend a turn doing depending on the situation, such as if Lugia has been paralyzed by Primal Kyogre's Thunder or burned by Primal Groudon's Fire Punch or Lava Plume. Scolipede's Toxic Spikes are also great for helping Lugia deal with Lum Berry Arceus, as while Lugia would normally need to spend at least (due to Toxic's frustrating ability to miss) two turns to poison such an Arceus-Normal, while in the process allowing Arceus-Normal to boost its Attack stat up high and/or assault the Diving Pokémon with boosted Shadow Claws, Shadow Forces or Extreme Speeds, the presence of Toxic Spikes on the opponent's field not only results in the opposing Arceus-Normal instantly consuming its Lum Berry upon entry, but it also means that Lugia can freely negate all of the opponent's Arceus-Normal's Attack boosts with a simple Whirlwind, confident in the fact that the opponent's Alpha Pokémon will be automatically poisoned, and therefore stalled to death by Lugia the next time it comes in. Unless the opponent has a Toxic Spikes-immune Defog user, far more often than not, Toxic Spikes will put the opponent in a situation in which they must use Defog to remove the entry hazard at the cost of getting their Defog user poisoned which is a win-win situation for The▲Absolute▲Power▲. Although setting up Spikes is rarely a priority over setting up Toxic Spikes, if one finds a chance to set up this entry hazard, it can be great not only for turning this team's Lugia into a monstrous killing machine which eliminates the life of the opponent's team simply by spamming Whirlwind (especially when combined with Stealth Rock and/or Toxic Spikes), but it can also soften up some Pokémon and place them within the KO range of this team's Extreme Killer Arceus's +2 Extreme Speed or Choice Scarf Kyogre's devastating attacks. With Scolipede's amazing Speed Boost Ability combined with its Focus Sash and minimized HP, Defense and Special Defense IVs, Endeavor is a great move for instantly reducing the HP of a tough Pokémon on the opponent's team to 1, allowing it to be easily picked off later by Kyogre or one of the three Arceus in this team, if not faint instantly if it somehow happens to already be poisoned or burned. Finally, Toxic may seem to be a bizarre move. Originally, this Scolipede knew Pin Missile instead of Toxic for the purpose of taking out lead Focus Sash Deoxys-A or Deoxys-S, but I later realized that it was a waste anyway as Deoxys-A and Deoxys-S are not too common in Anything Goes, while Toxic prevents the opponent's Defog user from simply switching into Scolipede for free on the turn it uses Toxic Spikes before either removing the Toxic Spikes with Defog or burning Scolipede or one of its teammates, unless the opponent's Defog user is immune to Toxic, of course. The EVs and Nature are intended to maximize Scolipede's Speed while minimizing its bulk, including maximizing the damage it takes from Foul Play, in order to increase the likelihood of it being brought down to its Focus Sash, and thus optimizing Endeavor's effectiveness. In a metagame where Darkrai runs rampant, and in a team where the ability to threaten Taunt Mewtwo, Mega Gengar and defensive Will-O-Wisp-using support Arceus Formes is extremely valuable, the standard Choice Scarf Kyogre... but with an Anything Goes-exclusive twist finds its place. Aside from dealing with some specific threats, or handling issues that cannot be addressed through a different method (for example, using Choice Scarf Kyogre as an emergency check to Darkrai after both of this team's Arceus-Normal have used up their Lum Berry or fainted), the main use of Kyogre in The▲Absolute▲Power▲ isn't so much for the purpose of revenge-killing (since the two Same Type Attack Bonus Extreme Speed users in this team provide plenty of utility towards that end anyway), but rather, to pressure, with its incredibly powerful Water Spout, certain team archetypes that happen to be incredibly difficult to break by this team's other members, with such teams often involving the use of multiple physically-defensive Arceus Formes with Will-O-Wisp as well as Defog to remove any pressure created by The▲Absolute▲Power▲'s multiple entry hazards, combined with a Toxic-using Lugia, and possibly an Aromatherapy or Heal Bell user or a Mega Diancie. Choice Scarf Kyogre also has awesome synergy with Scolipede's Toxic Spikes, as even many Pokémon that would normally be Kyogre checks, such as Palkia, Arceus-Grass and Arceus-Water are placed under immense pressure if they switch into the Sea Basin Pokémon's attacks when Toxic Spikes are on the field. Surf is, of course, Kyogre's main attack after its HP is below 60%, when its HP is being threatened to be reduced to below 60%, or after Water Spout falls low on PP, while Thunder is chosen as the coverage move for its ability to hit common Pokémon such as Lugia and Primal Kyogre hard, especially once Kyogre is low enough on HP to not be able to fire a powerful Water Spout. As for the final move, while a standard Choice Scarf Kyogre would normally have Ice Beam on that slot, I have judged that locking the Water-type Pokémon into that move in order to deal some damage to Giratina Formes or Mega Rayquaza (in the latter case, pretty much certainly at the cost of Kyogre's life) is hardly worth it compared to dedicating that moveslot to a move that, despite not being able to do anything most of the time, can sometimes be a game-changer in extremely adverse matchups. As explained before, with the sheer number of threats and combination of threats that exist in the Anything Goes metagame, combined with the fact that one has merely six Pokémon and twenty four moves to deal with them all, there is hardly a sufficient amount of room in a single team to handle anywhere close to every other team in the metagame, so long story short, many battles in Anything Goes will, unfortunately, be decided by team matchups. And say The▲Absolute▲Power▲ happens to face a team in which the opponent has something like a Gastrodon, Chansey or specially-defensive Primal Groudon to completely and utterly wall the team's Kyogre, while every single other member of the team gets hard-walled by at least one other Pokémon in the opponent's team, and the opponent also has Aromatherapy/Heal Bell, Defog/Rapid Spin as well as a Magic Bouncer to completely and utterly stop every single one of this team's efforts to wear the opposition down with Toxic, Will-O-Wisp, or entry hazards. In such a hopeless matchup, there is absolutely nothing one can do except to pray that the opponent's team loses just one key Pokémon, in order to give The▲Absolute▲Power▲ a chance of actually breaking through it. Sheer Cold's presence on Kyogre's moveset ensures that there is no such thing as an absolutely hopeless matchup for this team, though of course, it should be by far the least-used move in the entire team, being resorted to only in otherwise absolutely hopeless situations, such as the previously-described scenario, or if Kyogre is the last Pokémon in the team and has no chance of defeating all of the opponent's remaining Pokémon by locking itself into any other move. ...And of course, many who have known me for long would be aware that there is nothing more satisfying to me in a Pokémon battle than watching the opponent's Pokémon falling in a single, luck-driven strike. Although extremely annoying defensive teams as described in Kyogre's section do exist in Anything Goes, it is fair to say that the vast majority of teams used in this metagame are offensive in nature. And when determining the usefulness of Lugia in a metagame, a general rule of thumb is that the more offensively-inclined a metagame happens to be, the better Lugia is in that metagame, as the Diving Pokémon excels at manhandling offense while often being nothing more than deadweight against stall. With a timer placed on the opponent's Pokémon by Lugia's own Toxic, the Toxic Spikes set up by Scolipede, possibly the Toxic or Will-O-Wisp of Lugia's teammates, or in some cases the opponent's Pokémon's Life Orb, Lugia can often spam Substitute and Roost all day to stall the opponent's Pokémon to death, while eliminating any of the opponent's stat boosts with a simple Whirlwind if need be. Lugia can make two Substitutes before using Roost to restore itself to full health and reactivate Multiscale, which often weakens the opponent's Pokémon's attack enough to allow the Psychic/Flying-type Pokémon to block another attack with Substitute while ending up still healthy enough to reactivate Multiscale once again on the next turn with Roost. In this way, Substitute grants Lugia far greater longevity, as the length of time it can spend stalling is greatly extended when it is not limited only to Roost's 16 PP. Substitute also protects Lugia from opposing status moves, as well as having its Toxic reflected back at it by the Magic Coat of an Arceus-Normal (Magic Coat Arceus-Normal is surprisingly common in Anything Goes). This Lugia often finds itself singlehandedly completely and utterly destroying teams of six Extreme Killer Arceus, Life Orb-stalling Mega Rayquaza to death (sometimes combined with weakening it with a combination of Stealth Rock and Whirlwind), countering Geomancy Xerneas with ease provided Stealth Rock is off The▲Absolute▲Power▲'s side of the field, and Toxic/poison-stalling Primal Kyogre and Primal Groudon to death. Be sure to keep the Diving Pokémon out of the reach of status-inducing moves though, especially Toxic, as status effects greatly hinder the great wall's effectiveness. The EVs maximize Lugia's HP, while giving it enough Speed to outrun Pokémon with base 90 Speed provided they do not run a Speed-raising Nature, and the rest of the EVs are thrown into Defense alongside a Bold Nature, since the main offensive threats that Lugia needs to wall in this team, such as Mega Rayquaza, Extreme Killer Arceus and Primal Groudon, are physical attackers. In older metagames, I have fancied the use of a Lugia with enough Speed EVs to outrun Pokémon with base 90 Speed that run a Speed-raising Nature, at the expense of the Psychic/Flying-type Pokémon's Defense, but with Mega Rayquaza being such a huge threat in this metagame that happens to outrun Lugia regardless anyway, combined with how incredibly hard it hits as well as the fact that Pokémon with base 90 Speed and a Speed-raising Nature are almost non-existent in Anything Goes anyway from my experience, I have decided to, in The▲Absolute▲Power▲, slow down my Lugia in favor for more Defense. The three Arceus in The▲Absolute▲Power▲ serve as the centerpiece of this team, and now we come upon the first of this team's three Arceus. Equipped with a Lum Berry, this Pokémon leads off and courageously stands up to the Dark Void or Spore of any Darkrai or Smeargle foolish enough to lead against this team in anticipation of a Scolipede lead on my part, while obliterating either of them with two Extreme Speeds. And with that very same Lum Berry, it can also eat up a Thunder Wave or Swagger from Klefki while retaliating with an Earthquake for massive damage or a KO. Although a person inexperienced with the Anything Goes metagame would assume that Scolipede is The▲Absolute▲Power▲'s lead Pokémon the vast majority of the time, the truth is that I find myself leading a battle with this Arceus-Normal far more often simply because of how incredibly common Darkrai, Smeargle and Klefki are, with even a single one of the aforementioned Pokémon being more than likely to lead under the assumption that I will be leading with Scolipede. Stealth Rock is an all-important entry hazard that doesn't seem to fit in a better location in this team than here, while Toxic on a Stealth Rock user is immensely useful for pressuring the opponent's Defog user, because as mentioned many times already, support Arceus with Defog and Will-O-Wisp, especially if they are physically-defensive, can often be very troublesome for this team with the right support. Toxic also cripples Lugia, a common Pokémon among skilled Anything Goes players which is very eager to switch into an Arceus-Normal. Other utility this Arceus-Normal provides includes weakening Primal Groudon with Earthquake, as well as revenge-killing in general with Extreme Speed. The▲Absolute▲Power▲'s second Arceus is an Extreme Killer Arceus, long regarded by many Übers players as the epitome of power among all Pokémon. Along with this team's first Arceus, The▲Absolute▲Power▲'s Extreme Killer Arceus serves the same utility against Darkrai, Smeargle and Klefki, as well as being a general revenge-killer thanks to its Lum Berry, Earthquake and Extreme Speed, while it can also become a frightening sweeper with Swords Dance. Unlike a conventional Extreme Killer Arceus however, which runs Shadow Claw or Shadow Force as the fourth move, I have chosen to put Roar on this set for several reasons. The first is for the purpose of disrupting the opponent's setup sweepers such as their own Extreme Killer Arceus by pseudo-Hazing them out on the turn they set up and possibly racking up entry hazard damage, or if Toxic Spikes are up, forcing the opponent's Lum Berry Arceus to get poisoned the next time it switches in. And the second reason is for the purpose of unexpectedly pseudo-Hazing the opponent's Moody Pokémon if they happen to lead with one in an attempt to ensure that it does not get poisoned by Scolipede's Toxic Spikes, since pseudo-Hazing them with Lugia would not work since a Moody Pokémon is almost guaranteed to Taunt a Lugia in anticipation of Whirlwind, while one would be far less likely to Taunt an Arceus-Normal, especially after it gains three Swords Dance boosts. The▲Absolute▲Power▲'s third and final Arceus wields the standard support Arceus set, a moveset with whose origins and invention being a product of my very own wisdom. Pixie Plate was chosen for this Arceus's item mostly for the existence of two Pokémon: Mega Rayquaza and Yveltal. Due to how incredibly threatening the former is, Arceus-Fairy's ability to outrun and vaporize it with a single Judgment is simply incredible, while a physically-defensive Yveltal with Foul Play, Sucker Punch and Taunt would simply be a nightmare for this team if not for Arceus-Fairy's presence. But aside from that, Fairy is, in general, an awesome defensive type which I believe helps the team more than any other Arceus type for this spot on the team. Although Defog on a team with three entry hazards may seem counter-intuitive, it is still great for giving the team a little more flexibility, especially in situations in which the user of The▲Absolute▲Power▲ has yet to set up any entry hazards, or in situations in which one is being Whirlwinded to death in the presence of multiple layers of entry hazards by an opposing Lugia, a Pokémon which is very common on the higher end of the Anything Goes ladder. Arceus-Fairy is also great for smiting both of the Giratina Formes with its Judgment, since such Pokémon give the rest of the team quite some trouble. This Arceus-Fairy can also use Will-O-Wisp for the purpose of crippling physical attackers such as Extreme Killer Arceus, or to annoy some defensive Pokémon like Lugia, opposing support Arceus, and Steel-type Pokémon. : Countered by Lugia, which can badly poison it with Toxic before nullifying any Swords Dance boosts it attains with a simple Whirlwind, while taking even boosted Extreme Speeds, Shadow Claws and Shadow Forces well thanks to the Diving Pokémon's Multiscale Ability in combination with its legendary bulk. Though the vast majority of Arceus-Normal in the Anything Goes metagame hold Lum Berry, this is hardly a problem as Lugia can simply Toxic it twice. And if Toxic Spikes are on the opponent's side of the field, Lugia does not even need to bother using Toxic, as the opponent's Arceus-Normal will be either be poisoned as soon as it enters the battlefield if it is not holding a Lum Berry, or use up its Lum Berry as it enters the battlefield the first time, in which case Lugia can simply Whirlwind it out, and let it get poisoned the next time it comes in. Watch out for Magic Coat Arceus-Normal though, as it is quite common on the higher end of the ladder, but such can be scouted with a Substitute, behind which Lugia can safely fire Toxics at Arceus-Normal without running the risk of badly poisoning itself, something which is extremely detrimental to the Psychic/Flying-type Pokémon's walling ability. If played correctly, The▲Absolute▲Power▲'s Lugia can even single-handedly destroy teams of six Extreme Killer Arceus. If Lugia is in no condition to counter Extreme Killer Arceus, this team still has secondary methods of dealing with the Alpha Pokémon. Arceus-Fairy can burn Extreme Killer Arceus if need be, especially if they have already used up their Lum Berry, while the Arceus-Normal in The▲Absolute▲Power▲ named Din can, in an emergency, use the unexpected Roar to pseudo-Haze opposing Arceus-Normal away on the turn they set up with Swords Dance, which is also rewarding if entry hazards are on the opponent's field. If worst comes to worst, The▲Absolute▲Power▲'s three Arceus are all bulky enough to survive a +2 Extreme Speed from an opposing Arceus-Normal before retaliating with a Same Type Attack Bonus move of their own (or, in The▲Absolute▲Power▲'s two Arceus-Normal's case, strike the opponent's Extreme Killer Arceus first if they are faster or win the Speed-tie). : Whether or not it is holding a Red Orb, Groudon is countered by Lugia, which can badly poison it (or even skip this step if Toxic Spikes are on the opponent's side of the field) while stalling with Substitute, Roost and Multiscale, as well as possessing the ability to nullify any Swords Dance or Rock Polish boosts on the Continent Pokémon's part with a simple Whirlwind. Watch out for Lava Plume burns though, as although a burned Lugia can still counter any Groudon reasonably well, such a status effect still seriously hampers or even completely destroys Lugia's ability to wall other threats later on in the battle, such as Extreme Killer Arceus, Geomancy Xerneas and Dragon Dance Mega Rayquaza. Primal Groudon, which the vast majority of Groudon in Anything Goes are, can also be taken down by three unboosted Earthquakes from either of The▲Absolute▲Power▲'s Arceus-Normal, while the much lesser-seen non-Primal Groudon can be burned by Arceus-Fairy, hit hard by its Judgment, and above all, largely threatened by Kyogre. As a method of eliminating Primal Groudon, if one is feeling lucky, or if one finds themselves in a matchup in which their entire team is completely walled by the opponent's team, and has no other feasible way of eliminating just one key Pokémon on the opponent's team in order to prevent it from hard-walling The▲Absolute▲Power▲ entirely, one can even send Kyogre into a Pokémon it threatens, before firing a Sheer Cold as Primal Groudon switches in. Since Choice Scarf Kyogre outruns Primal Groudon, if Sheer Cold misses on the turn the Ground/Fire-type Pokémon switches in, one can even click Sheer Cold again on the next turn, meaning that there is actually a whopping 51% chance that the opponent's Primal Groudon falls to Kyogre's Sheer Cold before it can land any attack on the Sea Basin Pokémon. : Mega or not, Rayquaza is countered by Lugia as long as Stealth Rock is not on The▲Absolute▲Power▲'s side of the field, and Lugia has its Multiscale intact. In such a situation, Lugia can simply, with a combination of Roost, Substitute and Multiscale, stall most Rayquaza, Mega or not, to death due to how often they hold Life Orb. If Stealth Rock is on this team's side of the field however, one must resort to either firing multiple Extreme Speeds (two if Rayquaza has taken Stealth Rock damage, otherwise three) at the Sky High Pokémon with this team's two Arceus-Normal, or strike the Dragon/Flying-type Pokémon down from the heavens with a single Judgment from Arceus-Fairy provided Rayquaza has not yet acquired a Dragon Dance boost. : When Darkrai users see The▲Absolute▲Power▲'s Scolipede via Team Preview, they often assume that this team's user will lead with it, and thus they will more often than not lead with Darkrai. Because this is the case, lead with the Arceus-Normal named Farore (which is preferrable over leading with the one named Din, due to the option of setting up Stealth Rock if the opponent's Darkrai switches out, and setting up this entry hazard early on in a battle is always good), which can strike down the Pitch-Black Pokémon with two Extreme Speeds while absorbing a Dark Void thanks to its Lum Berry. If the opponent sends out a Darkrai against Arceus-Fairy or Lugia when the latter is not behind a Substitute, one should switch to one of this team's two Lum Berry Arceus, take a Dark Void on the switch, and then fire an Extreme Speed, before being put to sleep by the second Dark Void, assuming both Dark Voids connect of course. After one Arceus-Normal has been put to sleep, switch to the other one and finish off the Dark-type Pokémon with a second Extreme Speed. The Arceus-Normal one should sleep fodder, of course, depends on the situation - if Stealth Rock is not up on the opponent's field yet and setting this entry hazard sometime later on in the match is crucial for victory, have Din be put to sleep. But if one can foresee an Extreme Killer Arceus sweep as a win condition, one should of course sleep fodder Farore. Needless to say, Choice Scarf Kyogre can revenge-kill Darkrai very easily, though it cannot switch in and would hate it if Darkrai is behind a Substitute. If Darkrai switches in on a Lugia behind a Substitute, one can try to badly poison the Pitch-Black Pokémon with Toxic, though be aware that Darkrai sometimes know Taunt. If one can somehow cleanly get Din with its Lum Berry intact in against a Darkrai, one can even Swords Dance in Darkrai's face while taking a Dark Void, before proceeding to knock out Darkrai with a single Extreme Speed and then heavily threatening or perhaps even outright sweeping the opponent's remaining team (do watch out for Focus Sash Darkrai though, but this is hardly a problem if Darkrai has already taken some damage, such as from entry hazards). Against a very smart and skilled Darkrai user, having Scolipede set up Toxic Spikes early on in the match can also make things a lot easier. : The▲Absolute▲Power▲'s two Arceus-Normal can each absorb a status move once thanks to their Lum Berry before proceeding to deal massive damage to the Key Ring Pokémon with Earthquake, or even knock it out in a single hit if the status move the Steel/Fairy-type Pokémon uses happens to be Swagger. Teams of six SwagKeys are extremely common in the Anything Goes metagame, and on average, The▲Absolute▲Power▲'s two Lum Berry Arceus can take out about four SwagKeys before they both faint (although of course, this number can change depending on one's luck against SwagPlay). In any case, after The▲Absolute▲Power▲'s two Arceus-Normal have both been taken out, the remaing SwagKeys on the opponent's team can generally be taken out through a combination of Kyogre's immensely destructive rain-boosted Water-type attacks (depending on one's luck fighting through confusion and paralysis), PP-stalling SwagKeys out by switching back and forth between Lugia and Arceus-Fairy while using Roost or Recover whenever necessary, or if the opponent happens to have any SwagKey lacking Substitute, as they sometimes do, burning it with Arceus-Fairy's Will-O-Wisp. Unless one is extremely unlucky, The▲Absolute▲Power▲ generally does not lose even to a team of six SwagKeys. : If Stealth Rock is not on The▲Absolute▲Power▲'s side of the field and Lugia's Multiscale is intact, the Psychic/Flying-type Pokémon counters Xerneas's Geomancy set with ease. Even if Lugia is in no condition to do this, Geomancy Xerneas can still be beaten by hitting it hard with a Same Type Attack Bonus move on the turn it sets up, before finishing it off with an Arceus-Normal's Extreme Speed. All other Xerneas sets are a non-threat with Lugia in this team, and can also be beaten in the same way Geomancy Xerneas can. : Primal Kyogre, which most Kyogre in Anything Goes seem to be, is mostly countered and Toxic/poison-stalled to death by Lugia, though do watch out for Thunder's 30% paralysis chance. All Kyogre in general also dislike taking Arceus-Normal's Extreme Speeds, and entry hazards, especially Toxic Spikes generally make life very difficult for the Water-type Pokémon. If need be, The▲Absolute▲Power▲'s own Kyogre can revenge-kill opposing Kyogre, Primal or not, with Thunder, or even Water Spout if the opponent's Kyogre is low enough on health to fall to it. : Din, as well as Lugia with its Multiscale intact, can take a boosted Ghost-type move from Calm Mind or Swords Dance Arceus-Ghost before pseudo-Hazing it out, while Defog Arceus-Ghost can be easily badly poisoned by either Scolipede or Farore as it comes into them to remove their entry hazards with Defog. Once Arceus-Ghost has been poisoned, badly poisoned or burned, which is very easy to do, even the Calm Mind set, after multiple boosts, will be pressured by Choice Scarf Kyogre, and without any Calm Mind boosts, Arceus-Ghost is also very easy to revenge-kill in general with Kyogre. Arceus-Fairy can also easily beat Swords Dance Arceus-Ghost one-on-one by burning it with Will-O-Wisp. : Needless to say, the method by which this team deals with Imposter Ditto depends on which Pokémon it transforms into. A Ditto Impostering Scolipede can typically achieve very little except set up some layers of a single entry hazard, since almost all Ditto hold Choice Scarf. One can even use a Scolipede-transformed Ditto as hazard bait or switch to Arceus-Fairy and Defog away the entry hazards that Ditto sets up, since Ditto will be unlikely to use Toxic since Scolipede is immune to this move. A Kyogre-transformed Ditto is, admittedly, scary. In general, one can either leave Kyogre in (not recommended if the Sea Basin Pokémon is very much needed later on in the battle), switch to an Arceus-Normal predicting the Thunder (be aware that Ditto may predict such a switch and fire a Water Spout instead though, although if Kyogre is low enough on health, switching an Arceus-Normal into it won't be too much of a problem), or fodder a Pokémon one does not need. If Ditto Imposters Lugia, simply switch to Scolipede, since it literally cannot be touched by this team's Lugia, and then set up entry hazards on it. If Scolipede has already fainted, one will have to either sacrifice the Lum Berry of an Arceus-Normal or choose a Pokémon in the team to let get badly poisoned. But either way, a Lugia-transformed Ditto can accomplish very little since almost all Ditto hold Choice Scarf. If Ditto transforms into Farore, set up Stealth Rock on it if this entry hazard is not on the opponent's field yet, otherwise Extreme Speed or Toxic it depending on how you foresee yourself taking down Ditto later on in the match (that is, whether you foresee yourself finishing it off with an attack after it has been weakened, or stalling it to death. If Ditto locks itself into Stealth Rock or Toxic, Extreme Speed or Toxic it (if it isn't already under a status effect of course). If it locks itself into Extreme Speed, switch to either Lugia or Arceus-Fairy to wall it, depending on which of the two gives The▲Absolute▲Power▲ more momentum against the opponent's team (in general, think about the opponent's team in terms of whether or not they have any Pokémon immune to Lugia's Toxic, immune to Arceus-Fairy's Will-O-Wisp, and/or resistant to Arceus-Fairy's Judgment, how many of such Pokémon they have, and how much it would cost the opponent to switch such a Pokémon in - for example, switching a Ho-Oh into Arceus-Fairy to tank its Judgment or absorb its Will-O-Wisp would cost 50% of Ho-Oh's health in this situation due to the Stealth Rock set up by Farore). Unless under extreme specific circumstances, never Swords Dance with Din when the opponent has a healthy Ditto remaining in their team, though even if Ditto does come into Din and copy a +2 Attack boost, Lugia can still wall it fairly easily as long as Multiscale is intact and Stealth Rock is not on The▲Absolute▲Power▲'s side of the field. If Ditto transforms into an unboosted Din, one should generally switch to Lugia or Arceus-Fairy to wall it. Finally, if Ditto transforms into Arceus-Fairy, it will lose to it one-on-one, and the best it can do is simply inflict a burn on the Fairy-type Alpha Pokémon. : Can be easily crippled due to The▲Absolute▲Power▲ having three Toxic users as well as a Will-O-Wisp user (Lugia is particularly easy to bait out and get badly poisoned by Farore, since Lugia love switching into any Arceus-Normal, especially after seeing it use Extreme Speed). After that, it cannot wall Kyogre or Din very well. If the opponent's Lugia possesses no offensive moves, much like The▲Absolute▲Power▲'s Lugia, it can be completely walled by Scolipede, which can also use the Diving Pokémon as setup bait for its entry hazards. If The▲Absolute▲Power▲'s user has entry hazards on their field, and the opponent has a Lugia out, especially one behind a Substitute, it would be wise to remove them with Arceus-Fairy's Defog however, even if it means removing the entry hazards on the opponent's side of the field, as Lugia with its incredible bulk combined with Roost and Whirlwind can simply be a nightmare if there is even one layer of entry hazard on its opposition's field. : Can be easily taken out by Earthquake or Judgment from any of this team's three Arceus, while Kyogre's Water-type moves simply destroy it. Mega Diancie is completely immune to anything Scolipede and Lugia can do however, and this can sometimes be extremely annoying if the opponent uses Mega Diancie in a team whose other five members can wall The▲Absolute▲Power▲'s Kyogre and three Arceus well, especially since one cannot simply weaken those Pokémon with Spikes, Toxic Spikes or Scolipede's/Lugia's Toxic. In such a situation, one might even need to resort to sending Kyogre into a Pokémon it threatens, such as Mega Diancie itself, before attempting to eliminate the opponent's Kyogre counter on the switch - be it Primal Groudon, Chansey, Gastrodon or Arceus-Grass - with Sheer Cold on the switch or the turn(s) after the switch. : Mega Gengar is an incredible threat to this team, though it is fortunate that it is not that common due to the vast majority of people opting for Mega Rayquaza as their team's Mega Evolution. Aside from its ability to absorb Scolipede's Toxic Spikes once it has Mega Evolved, as well as easily trapping and eliminating Lugia and Arceus-Fairy, Gengar is also completely immune to being damaged by either of this team's Arceus-Normal prior to Mega Evolution. Thankfully though, people are unaware of the fact that both of this team's Arceus-Normal lack a Ghost-type move, so they Mega Evolve their Gengar immediately anyway, allowing it to be taken out instantly by a swift Earthquake, even if it may be at the cost of an Arceus-Normal's life due to Destiny Bond. Needless to say, Kyogre easily revenge-kills Mega Gengar, and one can even switch Kyogre directly into Gengar without consequences on the turn it Mega Evolves against Lugia, if one predicts the Taunt correctly. Stealth Rock, Spikes and the possibility of burning (Mega) Gengar as it switches into Arceus-Fairy also go a long way to helping The▲Absolute▲Power▲ combat the Ghost/Poison-type Pokémon, by placing a limit on how long it can do its job. : Smeargle are almost always leads. Lead with Din and take it out with an Extreme Speed, or two if Smeargle holds Focus Sash like it usually does, while absorbing the Spore with Lum Berry. Leading with Din is preferrable over leading with Farore due to Din's access to Roar combined with the possibility of Smeargle having its Evasion raised by the end of the first turn, through either Minimize or Moody. If Smeargle sets up Stealth Rock or Sticky Web, they can be removed by Arceus-Fairy later. : Every Pokémon in The▲Absolute▲Power▲ except for Scolipede can easily beat it. : Extreme Speed it with an Arceus-Normal. Sacrificing one of them is required though if Deoxys-A has its Focus Sash intact and knows Low Kick/Superpower and Extreme Speed. Deoxys-A are usually leads, but if the opponent does not lead with it, try to get Stealth Rock or at least one layer of Spikes down to break its Focus Sash so that all it takes is one Extreme Speed to take it down. If need be, Kyogre and Arceus-Fairy can both take a hit from Deoxys-A before retaliating with a certain KO as long as Deoxys-A does not have a Focus Sash intact - in Arceus-Fairy's case, it can even tank what is generally Deoxys-A's only threatening move against it, Psycho Boost, before Recovering, and then take advantage of Deoxys-A's harshly-lowered Special Attack to beat it one-on-one even if it has a Focus Sash intact. If Deoxys-A lacks Taunt, it can be Toxic-stalled to death by Lugia, while Arceus-Fairy can even burn it before spamming Defog repeatedly in its face to ensure that it does not get Stealth Rock up, since Arceus-Fairy is slower than Deoxys-A. : All Mewtwo get revenge-killed by Kyogre's Water Spout, Lugia Toxic-stalls to death any Mewtwo lacking Taunt while being able to Whirlwind it away should it accumulate too many Calm Mind or Bulk Up boosts, and the team's two Arceus-Normal handle any Mewtwo other than Stalltwo and Mega Mewtwo X. Arceus-Fairy counters Mega Mewtwo X unless it knows the rare Poison Jab or Iron Tail, and in general, having Scolipede set Toxic Spikes up before Mewtwo appears on the battlefield helps immensely against it. With its unpredictability and versatility, a well and intelligently-played Mewtwo can be quite threatening to this team, especially if it turns out to be the Stalltwo set, but with Kyogre's ability to revenge-kill any Mewtwo from full-health, as well as two Arceus-Normal capable of revenge-killing a Mewtwo, it is usually not a huge problem. : Countered by Lugia, and easily revenge-killed by either Arceus-Normal's Extreme Speed once weakened, including switching into Stealth Rock even once. : Countered by Arceus-Fairy, and the physically-defensive set with Foul Play can also be easily baited into switching into Farore's Toxic. Keep Arceus-Fairy alive and well if the opponent has a physically-defensive Foul Play Yveltal though, especially if it also has Taunt and Sucker Punch, as there is literally not much The▲Absolute▲Power▲ can do to such a Yveltal without Arceus-Fairy. If for whatever reason a Yveltal does not know Sucker Punch, Kyogre can revenge-kill it, while if for whatever reason it does not know Taunt and happens to be slower than this team's Lugia, Lugia can Toxic-stall it to death. Din, which is normally countered by physically-defensive Foul Play Yveltal, can overcome such a Yveltal if it Swords Dances on the turn the Destruction Pokémon switches in while being sufficiently weakened (which can commonly be achieved as easily as by forcing Yveltal to switch into Stealth Rock while already having 75% or less of its total HP remaining). : To beat this Pokémon, set up Spikes, Stealth Rock or both, preferrably burn the Thorn Pod Pokémon as well with Arceus-Fairy, and then try to switch Lugia into it without getting Leech Seeded on the switch. After that, use Substitute to prevent the Psychic/Flying-type Pokémon from being Leech Seeded, and then spam Whirlwind while watching the opponent's team get obliterated, unless they have a way of removing the entry hazards on their field, although this often comes at the cost of having their Defog Arceus badly poisoned by Lugia. Either way, with Lugia's Substitute preventing Ferrothorn from recovering its burn damage with Leech Seed, in combination with pressure applied from Kyogre and the team's two Arceus-Normal, Ferrothorn will have a hard time lasting too long after that. : It hates being burned by Arceus-Fairy, or smashed by the two Arceus-Normal's Earthquakes. Though Aegislash can Shadow Sneak Kyogre to lower its health and thus the power of its Water Spout, Kyogre's immensely powerful Water-type moves do the Royal Sword Pokémon no favor either. : Lead with Farore against it and take it out with two Extreme Speeds. The Stealth Rock or Spikes it sets can be removed by Arceus-Fairy's Defog later. : Pretty much the same thing as Arceus-Ghost to this team, except it is far less threatening due to its complete lack of a viable Swords Dance set, combined with its inability to hit Lugia with a Same Type Attack Bonus super effective move, as well as its ability to be hit by Endeavor and Extreme Speed. : Not a threat to this team due to the presence of two Arceus-Normal with Extreme Speed. Lugia counters the Blaze Pokémon too if Stealth Rock is off The▲Absolute▲Power▲'s field and Multiscale is intact. : Arceus-Fairy can burn it while easily removing its Stealth Rock and Sticky Web with Defog. Kyogre destroys it too after Shuckle's Sturdy Ability is nullified. : For some reasons, Skarmory in the Anything Goes metagame all seem to lack Toxic, so Arceus-Fairy can burn it and remove its entry hazards with Defog. As Skarmory's burn forces it to use Roost eventually, there will eventually be a turn at the end of which The▲Absolute▲Power▲ has no entry hazards on its field, in which case one can switch to Kyogre on that turn and heavily threaten Skarmory, and usually the opponent's entire team as a whole. : Every member of The▲Absolute▲Power▲ except for Scolipede and Lugia beat it. Espeon completely and utterly walls Scolipede and Lugia though, so just like Mega Diancie, it can be annoying if the rest of the opponent's team happens to be able to hard-wall The▲Absolute▲Power▲'s Kyogre (barring Sheer Cold) and three Arceus. Although Lugia can do absolutely nothing to Espeon, it is sometimes a good idea to switch Lugia into Espeon before clicking Whirlwind in order to safely send a different member of this team into Espeon without it getting hit by Espeon on the switch, due to the fact that Lugia really does not mind taking any of Espeon's attacks. : Countered by Arceus-Fairy, and Kyogre also destroys it. Mega Sableye completely and utterly wall Scolipede and Lugia though, and just like Mega Diancie and Espeon, it can be a real pain if used in a team whose other five members completely wall The▲Absolute▲Power▲'s Kyogre (barring Sheer Cold) and three Arceus. : Mega Kangaskhan cannot accomplish much after it is burned by Arceus-Fairy. Lugia can also wall it somewhat if it does not have Crunch, while being able to use Whirlwind to nullify the Parent Pokémon's Power-Up Punch boosts. Having Toxic Spikes up before this Pokémon enters the field is also extremely helpful especially given the Normal-type Mega Evolution's lack of Lum Berry or Leftovers recovery. If worst comes to worst, Mega Kangaskhan can simply be beaten to death with three Extreme Speeds from this team's two Arceus-Normal, and if it lacks Sucker Punch, it can even be revenge-killed by Kyogre. : Arceus-Fairy and Kyogre both beat it, and Din can also break through it after a Swords Dance boost. : Din anti-leads any Scolipede. Hazard leads like the one in The▲Absolute▲Power▲ are taken out by two Extreme Speeds, while the layer of Spikes or Toxic Spikes it sets up can be removed by this team's Arceus-Fairy or Scolipede respectively. As for Scolipede with Iron Defense and Baton Pass, Din can Roar them out on the second turn. As always awesome RMT and team.